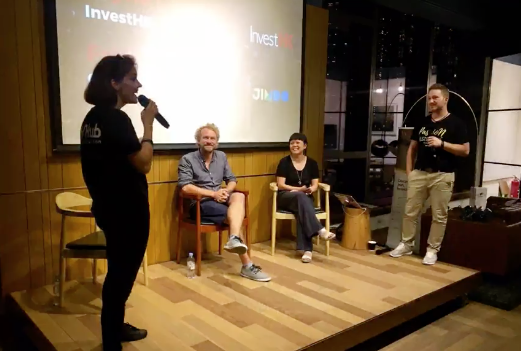 co-founder Karena Belin asked Fridtjof to share the Jimdo story and the idea behind #FoundersValley. And she even had a surprise for him! The Founders Valley series follows Fridel in collaboration with Deutsche Welle on a journey through Asia. Looking for visionary ideas he meets with founders and startups that work on innovative and inspiring solutions. Fridel talks to Mongolian TV host Jargal DeFacto to talk about global bridges between entrepreneurs in a digitized world. LKCE HAMBURG: Fridel gives a talk about the Kanban philosophy, leadership and the importance of alignment at Jimdo. Fridel talks about why Jimdo decided to create a mobile application in addition to just a browser version. Learn about how Jimdo started. What tools and practices proved useful? What lessons were learned? And what hurdles were overcome? Backyard TV: Collaboration - Brauchen wir noch einen festen Arbeitsplatz?